Offshore investing offers a great deal of potential. This approach to investments can provide you with the opportunity to accomplish a number of financial goals. Those investments can be used to create a nest egg for your retirement years, supply funds that cover college expenses for your children and even ensure that you leave behind some sort of financial legacy for your loved ones. When considering different offshore investment options, it helps to look closely at the potential benefits and drawbacks associated with each one. Doing so will make it much easier to choose wisely and move closer to achieving your goals. Is the Fund a Good Fit? One of the first questions you should ask has to do with how a given offshore investment fund fits into your overall financial aims. In order to get the most out of the deal, it is important to identify how investing in that fund would achieve specific goals you have set for yourself. You also want to consider if those returns would materialize in a time frame that is in line with your goals. Should you find that a particular offshore investment will not generate the earnings you need in the time frame desired, move on to the next possibility. One of the attractive aspects of offshore investing is that the opportunities come with fewer restrictions than many domestic investment options. At the same time, those offshore options may also come with fewer protections for the investor. It is up to you to find out what rights and responsibilities come along with investment in a specific offshore fund. Do your homework and learn all you can about the laws and regulations that apply to that fund. If you are uncomfortable with the level of protection you are provided under the laws of the home nation, then you should seek opportunities elsewhere. There is a common misconception among new investors that every type of offshore investment fund will automatically provide superior tax advantages. The truth is that just because an investment is international rather than domestic, there are no guarantees that the investment comes with any real tax advantages. It is up to you to assess the benefits you would receive by choosing to buy into the fund and decide if they are sufficient. Along with the rate of return, that also means deciding if the tax advantages or lack thereof is in line with your goals. Before getting involved with any offshore investment fund, make sure you know how the returns are distributed. What type of tax obligation will you have in the country where the asset is based? How about the tax implications in your country of origin? 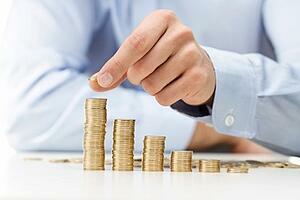 Will the fund pay out all of the profits earned during the year or only a portion? When are the reports sent to the appropriate revenue agencies and when will you receive the disbursements? Look closely at all these factors before making a final decision about any offshore investment. The potential with offshore investing is significant. In order to make the most of those opportunities, it is important that you take the time to explore the background and future prospects associated with any offshore investment fund. You also want to make sure you understand your responsibilities as an investor, particularly in terms of the tax obligation you are taking on by choosing to acquire the investment. If the structure of the fund is a good fit for your plans and you are satisfied that the investment will provide the returns you seek, then taking the risk is worth your time and money.